Rub-a-dub-dub, three dummies in a all out hilarious comedy circus show for all. The juggler, the acrobat and the clown they are all three. Splishin’ and a Splashin’ their way through a day at the beach, these comedic life guards keep silliness and fun top priority and safety 2nd with synchronised swimming stunts and slapstick. Dive or belly flop into their wacky underwater imagination. Sink or swim? These dummies will save you, by drowning you with laughter. Winners of the best Children’s presentation at the Adelaide fringe festival 2015, the Trash Test Dummies are as full of laughs as their bins are full of surprises. 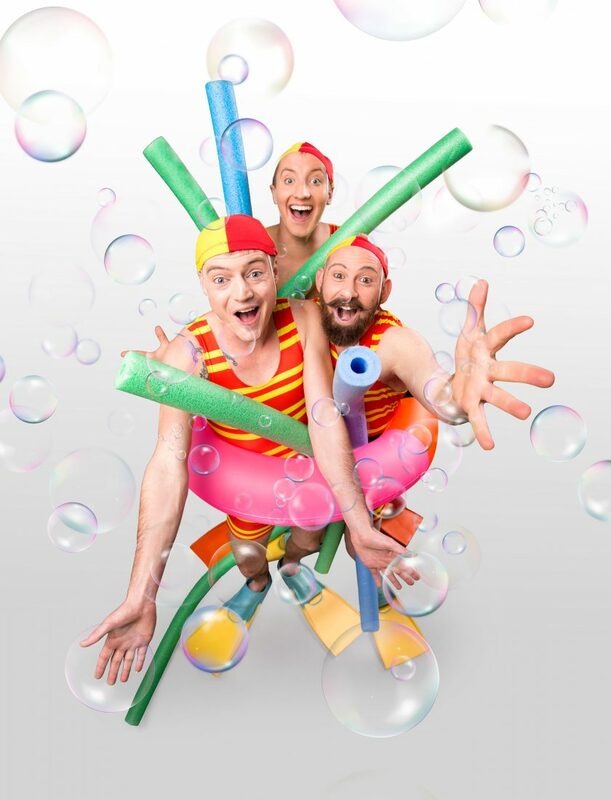 Nominees of the 2015 Perth Fringe World Circus Award, and winners of the gas works circus showdown 2014, the Trash Test Dummies is a family friendly, circus comedy show like no other. Jamie Bretman, Jack Coleman and Simon Wright are highly skilled circus performers that can trash talk with the best of them, showcasing a stunning array of the highest jaw dropping acrobatics, juggling and stunt work. These dexterous dummies take the audience on a journey into their playful imagination, where they invite them to take a fresh look at the humble household wheelie bin.